BEFORE WE GET STARTED THIS MORNING, FOLKS, I HAVE TO ANSWER THE TELEPOLL QUESTION FROM KEOKUK, IOWA. THE ANSWER TO THE QUESTION IS BASICALLY, NO, I’M NOT WEARING MAKEUP. AND, YES, DESPITE WHAT YOU SEE ON TELEVISION, I STILL DO HAVE HAIR ALTHOUGH MY HAIRLINE HAS CHANGED DRAMATICALLY SINCE MY HIGH SCHOOL GRADUATION PICTURE IN 1962. ALL RIGHT. IN ALL SERIOUSNESS, LADIES AND GENTLEMEN, AS THE SHEPHERD OF THIS FLOCK, IT’S MY JOB AMONG OTHER THINGS TO MONITOR THE MEDIA COVERAGE AND TO BRING TO YOUR ATTENTION POTENTIAL THINGS THAT WE NEED TO TALK ABOUT, ESPECIALLY IN LIGHT OF THE FACT THAT THE TRIAL HAS NOW STARTED. WE MENTIONED THE THREE PRIMARY AREAS: RADIO, PRINT MEDIA, AND TELEVISION. IN TERMS OF RADIO, I SEE ABSOLUTELY NO PROBLEMS IN OUR SELF-POLICING METHOD. OTHER THAN TWO MAJOR STATIONS ON THE A.M. FROM SAN DIEGO AND ONE IN L. A., IT APPEARS THAT BETWEEN A.M. AND F.M. STATIONS YOU CAN FIND PLENTY OF THINGS TO LISTEN TO WITHOUT LISTENING TO THIS CASE. SO SELF-POLICING IS WORKING. AS TO THE PRINT MEDIA, IT IS PROBABLY ONE OF THE EASIEST TYPES OF THINGS TO AVOID BECAUSE YOU KNOW RIGHT AWAY WHEN THERE IS AN ARTICLE ABOUT THE CASE. AND, FOR EXAMPLE, THE “SAN DIEGO UNION” THIS MORNING IT WAS ALL OVER THE FRONT PAGE. SO SELF-POLICING IS GOING TO WORK BECAUSE YOU’RE OBVIOUSLY GOING TO BE ABLE TO AVOID READING THE ARTICLES BECAUSE YOU WERE HERE, YOU KNEW WHAT HAPPENED, AND YOU CAN AVOID THAT. NOW, I DIDN’T GO INTO MY LOCAL ALBERTSON’S TO DETERMINE WHETHER OR NOT, YOU KNOW, THE OTHER MEDIA, AND WHETHER OR NOT ANY ALIENS WERE INVOLVED IN THIS CASE. APART FROM THOSE TYPES OF TRASH TYPES OF PAPERS, SELF-POLICING IS STILL GOING TO WORK. THAT BRINGS US TO PROBABLY THE HARDEST PART OF YOUR JOB, AND THAT’S TELEVISION. SHORT OF THE NATIONAL MEDIA COVERAGE OF THE EVENTS OF 9/11, I HAVE NEVER SEEN ANYTHING ON LOCAL TELEVISION LIKE THIS CASE. NOW, WHAT I AM GOING TO TELL YOU TO DO IS GOING TO TAKE A GREAT DEAL OF COURAGE ON YOUR PART, BUT I’M GOING TO TELL YOU A WAY TO AVOID THE TELEVISION MEDIA COVERAGE. BECOME A PADRE FAN. AND THE REASON FOR THAT IS YOU WATCH A BALLGAME AND FOR A PERIOD OF TWO AND A HALF OR THREE HOURS YOU’RE NOT GOING TO HEAR A THING ABOUT THIS CASE. YOU MAY NOT BE WATCHING GOOD BASEBALL EITHER, BUT THE FACT IS THAT YOU WON’T BE HEARING ANYTHING ABOUT THE CASE. IF BASEBALL’S NOT YOUR THING, WE’VE GOT THE N. B. A. FINALS GOING. WE’VE GOT WORLD CUP SOCCER. AND FOR THOSE OF YOU THAT HAVE CABLE TELEVISION, YOU’RE IN LUCK BECAUSE YOU’VE GOT MOVIES AND YOU’VE GOT OTHER THINGS. HOW ARE WE GOING TO HANDLE THIS, LADIES AND GENTLEMEN, BECAUSE I NOW HAVE SEEN THE MEDIA COVERING THE MEDIA, WHICH, WHEN IT GETS TO THAT POINT, YOU KNOW HOW EXTENSIVE THE COVERAGE IS. I HAVE VERY FEW CHOICES WHEN WE STOP DOING SELF-POLICING. SELF-POLICING IS GOING TO REQUIRE A GOOD DEAL OF COURAGE ON YOUR PART. IT’S GOING TO MEAN, FOR EXAMPLE, IF YOU DON’T HAVE CABLE T.V. AND ALL YOU HAVE IS ACCESS TO OUR LOCAL MAJOR STATIONS, THAT YOU’RE NOT GOING TO BE ABLE TO WATCH YOUR TELEVISION. YOU’RE GOING TO HAVE TO BECOME FAMILIAR WITH YOUR NEIGHBORHOOD LIBRARY BRANCH AND LEARN HOW TO READ PERHAPS AGAIN. THE BOTTOM LINE IS VERY SIMPLE. RIGHT NOW, BETWEEN RADIO AND TELEVISION, EVERY LAWYER THAT EVER PRACTICED CRIMINAL LAW IN THIS CITY AND IN THIS COUNTY IS AN EXPERT. AND THEY ARE GIVING OPINIONS. AND THEY ARE TALKING ABOUT THE THINGS YOU’VE SEEN AND HEARD. THEY ARE NOT GOING TO MAKE THE DECISION; YOU FOLKS ARE. SO IT’S VERY IMPORTANT THAT AS TO TELEVISION COVERAGE, EXTENSIVE AS IT IS, THAT YOU AVOID IT AT ALL COSTS. HOWEVER YOU WANT TO HANDLE THAT IS FINE. WE’RE GOING TO CONTINUE TO DO THE SELF-POLICING. I ONLY BRING IT TO YOUR ATTENTION BECAUSE OF THE EXTENT OF THE COVERAGE I SAW LAST NIGHT VIRTUALLY GOING INTO THE EARLY EVENING AND LATE EVENING IF YOU WATCH THE LATE NEWS. SO JUST FIND SOMETHING ELSE TO WATCH ON T.V. AND, IF NECESSARY, UNPLUG IT DURING YOUR STAY HERE. AND IN THAT WAY WE CAN GUARANTEE YOUR DECISION WILL BE BASED SOLELY ON WHAT YOU SEE AND HEAR IN THE COURTROOM. MR. CLARKE: EXCUSE ME, YOUR HONOR. WAS THE COURT ALSO GOING TO BRING UP THE INTERNET? THE COURT: YES. I DIDN’T COVER THE INTERNET, FRANKLY, BECAUSE I DON’T KNOW MY WIFE’S PASSWORD AT OUR HOME COMPUTER, SO I HAVE NO IDEA WHAT THE INTERNET — BUT STAY OFF THE CHAT ROOMS AND ALL OF THAT. YOU HEARD ABOUT THAT DURING VOIR DIRE. IT WAS COVERED EXTENSIVELY BY THE LAWYERS. AND OBVIOUSLY YOU CAN GO ON THE INTERNET AND USE YOUR COMPUTER; JUST DON’T GET INTO THE CHAT ROOMS AND THINGS THAT ARE DEALING WITH THIS PARTICULAR CASE. WE GOT A NOTE FROM AN UNNUMBERED JUROR SAYING THAT APPARENTLY LEFT IN YOUR BOOK FROM A PREVIOUS CASE WAS A PAGE FROM A PRIOR CASE. WHO WAS THAT? THE COURT: OH. JUROR 12. OKAY. FIRST OF ALL, WOULD YOU TEAR OUT THE PAGE THAT DOESN’T BELONG IN THE BOOK. JUROR NUMBER 12: THAT’S IT. THE COURT: OH. THIS IS IT. OH. THIS IS IT. OKAY. I’LL SHOW COUNSEL WHAT IT IS. BUT OBVIOUSLY IT HAS NOTHING TO DO WITH THIS CASE. THAT WAS SOMEBODY ELSE’ NOTES. IF ANY OF YOU COME ACROSS SOMETHING, JUST SIMPLY LET US KNOW. MR. DUSEK: WE CALL DR. SKIP SPERBER. THE WITNESS: NORMAN DONALD SPERBER. S-P-E-R-B-E-R.
Q: IS SKIP YOUR NICKNAME? Q: HOW ARE YOU EMPLOYED, DR. SPERBER? A: WELL, I HAVE TWO ACTUAL OCCUPATIONS. I’M A GENERAL DENTIST IN THE STATE OF CALIFORNIA, IN SAN DIEGO, WHERE I HAVE MY OFFICE. I’M ALSO WHAT’S KNOWN AS A FORENSIC ODONTOLOGIST OR A FORENSIC DENTIST. Q: HOW LONG HAVE YOU BEEN WORKING IN THAT FIELD? A: I WAS APPOINTED TO THE STAFF OF THE — WHAT WAS THEN THE CORONER’S OFFICE, NOW THE MEDICAL EXAMINER’S OFFICE, I THINK IN ABOUT 1964, SOON AFTER I GOT OUT OF THE NAVY. Q: AND YOU’VE BEEN DOING THAT TYPE OF WORK SINCE ’64? Q: WHAT IS A FORENSIC ODONTOLOGIST? A: FORENSIC ODONTOLOGIST OR A FORENSIC DENTIST IS USED TO IDENTIFY PEOPLE. IT’S ONE OF THE PRINCIPAL WAYS WE CAN IDENTIFY PEOPLE. FINGERPRINTS, D.N.A., AND DENTAL RECORDS. WE COMPARE X RAYS. AND SO IF I — IF THE POLICE, THE SHERIFF, SOME OTHER LAW ENFORCEMENT AGENCY HAS AN UNIDENTIFIED BODY, WE TAKE X RAYS OF IT. WE CHART THE TEETH, TAKE X RAYS, CHART ALL THIS, COMPARE IT TO SOMEONE WHO INVESTIGATING OFFICERS THINK IT MIGHT BE. Q: WOULD YOU GIVE US YOUR EDUCATIONAL BACKGROUND FOR THAT FIELD. A: YES, SIR. A BACHELOR OF ARTS DEGREE IN CHEMISTRY AND ZOOLOGY FROM CARLETON COLLEGE IN MINNESOTA. I HAVE A DOCTOR OF DENTAL SURGERY DEGREE FROM NEW YORK UNIVERSITY COLLEGE OF DENTISTRY IN 1954. Q: HOW MANY CASES HAVE YOU WORKED ON IN THE FORENSIC ODONTOLOGY FIELD? A: WELL, AS FAR AS EXAMINING UNIDENTIFIED BODIES, IT’S PROBABLY OVER THESE YEARS I’M ESTIMATING CLOSE TO FOUR THOUSAND CASES. Q: HAVE YOU BEEN INVOLVED IN ANY PROMINENT CASES? A: THE TED BUNDY CASE IN FLORIDA. THE JENNY ROJAS CASE HERE IN SAN DIEGO. THE CRAIG PYOR CASE, A HIGHWAY PATROLMAN, HERE IN SAN DIEGO. TO NAME A FEW. THE JEFFREY DAHMER CASE IN MILWAUKEE. Q: WERE YOU INVOLVED IN THE P. S. A. CRASH HERE IN SAN DIEGO? A: YES, SIR, I WAS IN CHARGE OF THE DENTAL IDENTIFICATION SECTION. Q: DID YOU GO BACK TO THE WORLD TRADE CENTER RECENTLY? A: YES, SIR, I DID. ABOUT FIVE DAYS AFTER 9/11, HELPING THE AUTHORITIES SET UP A COMPUTER BANKS AND HELPING TO IDENTIFY SOME OF THE VICTIMS OF THE 9/11. Q: WHEN YOU GO ABOUT TRYING TO MAKE THAT IDENTIFICATION, WHAT MATERIALS DO YOU NEED? A: GENERALLY X RAYS, BECAUSE THEY’RE OBJECTIVE. THEY’RE NOT — SOMETIMES WE HAVE TO USE WRITTEN DOCUMENTS, BUT I ALWAYS PREFER X RAYS. SO X RAYS ARE THE METHOD OF CHOICE. Q: AND THE X RAYS ARE OF WHOM AND FROM WHEN? A: WELL, THEY’RE OF THE VARIOUS — THERE ARE VARIOUS X RAYS TAKEN OF THE UNIDENTIFIED PERSON, SIMILAR TO THE X RAYS THAT YOU MIGHT HAVE AT YOUR DENTIST’S OFFICE. BITE WING FILMS, THE ONE THAT YOU BITE ON A LITTLE TAB, AND THERE’S OTHERS THAT YOU MAY HOLD YOUR THUMB OR HOLD WITH A CLAMP. AND THESE SHOW THE VARIOUS VIEWS OF THE TEETH. SO PRIMARILY THAT’S THE WAY WE TAKE THE X RAYS. 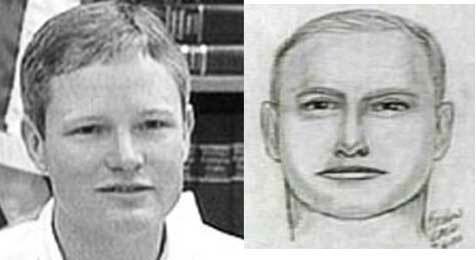 WE DO THE VERY — ALMOST THE SAME THING ON THE UNIDENTIFIED JOHN OR JANE DOE. THEN HAVE A LEAD WHO THAT MIGHT BE. I LOOK AT THOSE X RAYS, AND I COMPARE THE SIZE OF THE TEETH, I LOOK AT THINGS SUCH AS THE SHAPE OF THE TEETH, THE CURVATURE OF THE ROOTS, THINGS OF THIS NATURE. Q: SO WHAT YOU NEED ARE CERTAINLY X RAYS OF THE UNKNOWN PERSON. Q: DO YOU TAKE THOSE? A: OF THE UNKNOWN? I THINK IT’S HAPPENED ONLY ONE TIME, A PATIENT OF MINE WAS INVOLVED IN AN AIRPLANE CRASH, AND I GAVE THE X RAYS TO THE ARIZONA AUTHORITIES. SO THE X RAYS OF THE MISSING PERSONS I USUALLY WON’T BE TAKING, BUT I WILL BE TAKING IT OF THE UNIDENTIFIED PERSON. Q: AND THE UNIDENTIFIED PERSON IS THE ONE THAT’S FOUND BY LAW ENFORCEMENT SOME PLACE? A: THAT’S RIGHT. YES, SIR. Q: WHERE DO YOU TAKE THOSE X RAYS? A: USUALLY AT THE MEDICAL EXAMINER’S OFFICE. Q: AND THE X RAYS OF THE POSSIBLE INDIVIDUAL YOU’RE TRYING TO IDENTIFY COME FROM WHERE? A: THEY COME USUALLY FROM LAW ENFORCEMENT, COULD BE FROM THE SHERIFF’S DEPARTMENT, POLICE DEPARTMENTS, OCCASIONALLY I GET IT FROM FEDERAL AGENCIES. SOMETIMES I’LL GET THE X RAYS FROM CUSTODIAL RECORDS FROM PEOPLE WHO ARE IN PRISON AND THE ONLY RECORDS WE HAVE IS THE X RAYS THEY HAD WHILE THEY WERE IN PRISON. AND IF IT’S SUSPECTED THAT PERSON WHO HAD ONCE BEEN IN CUSTODY COULD BE THE JOHN DOE, THEN WE GET THE X RAYS THERE. SO WE GET THEM FROM VARIOUS SOURCES. Q: WHEN YOU GET THE TWO SETS OF X RAYS, WHAT ARE YOU TRYING TO DO? A: TRYING TO SEE IF THERE IS — NUMBER ONE, YOU GO IN WITH AN OPEN MIND, NOT THIS IS THE PERSON OR IT ISN’T, BUT YOU BEGIN TO LOOK AT VARIOUS FEATURES THAT MIGHT BE IN THE MOUTH. SOME OF US IN THE ROOM MIGHT HAVE ROOT CANAL IN THEIR MOUTHS, SOME MAY HAVE CROWNS, SOME MAY HAVE GOLD CROWNS, SOME MAY HAVE PORCELAIN COVERING THE GOLD CROWNS. SO THOSE ARE FEATURES THAT ARE ADDED BY DENTISTS THAT MAKE THE MOUTH MORE UNIQUE AS TIME GOES ON. MAY LOSE TEETH. THEY MAY BE REPLACED BY A FIXED BRIDGE. AND SO AS A PERSON AGES, THEIR OWN DENTIST OR DENTISTS MAKE THEIR MOUTH EVEN MORE UNIQUE. BUT THERE ARE MANY TIMES WE’VE IDENTIFIED PEOPLE WITHOUT ANY DENTAL RECORDS AT ALL. IN OTHER WORDS, WITHOUT ANY DENTAL PROCEDURES HAVING BEEN DONE ON THEIR MOUTH. A: WELL, AGAIN YOU HAVE YOUR X RAYS, THE ANTE MORTEM, THE ONES THAT ARE OF THE — WHO IT IS, THE MISSING PERSON, WHO WE BELIEVE IT IS. THEN YOU HAVE THE POST-MORTEM X RAYS. AND I WOULD LOOK AT, FOR INSTANCE, THE SIZE OF THE CROWN. THE CROWN IS DEFINED AS THE PART THAT SHOWS BEYOND THE GUM TISSUE. A: THE WHITE PART, EXACTLY. AND THEN THE ROOT IS THE PART THAT YOU CAN’T SEE. IT’S UNDER THE GUM. SO YOU CAN HAVE THE ROOT ON THE LOWER, SHOWING THE UPPER CROWNS AND ON THE UPPER YOU HAVE THE ROOT AGAIN IS COVERED, BUT THE UPPER CROWNS OF THE, SAY THE UPPER TEETH, ARE SOMETIMES VISIBLE, SOMETIMES NOT, DEPENDING ON THE PERSON’S SMILE. BUT WHAT WE DO IS TAKE X RAYS OF THOSE. SO I’M LOOKING AT THE SIZE OF THOSE, OF THE CROWNS. I MAY LOOK AT THE CURVATURE OF A ROOT. THERE MAY BE TWO ROOTS, SAY THE FRONT TEETH, THEY MAY BE VERY CLOSE TOGETHER LIKE THIS. IN ANOTHER PERSON THEY MIGHT BE FURTHER APART. ALSO THE BONE THAT ACTUALLY HOLDS THE TEETH IN PLACE HAS LITTLE CHARACTERISTICS. AND THESE ARE WE CALL TRABECULAR PATTERNS, AND THEY HAVE UNIQUE FEATURES AND SOMETIMES WHEN WE DON’T HAVE TEETH WE HAVE TO RELY ON THE TRYING TO COMPARE THE GEOGRAPHY, IF YOU WILL, OF THE BONES THAT SUPPORT THE TEETH ON THE ANTE-MORTEM RECORDS AND ON THE POST-MORTEM RECORDS OF THE UNIDENTIFIED PERSON. SO THAT, AGAIN, ROOTS MAY BE CURVED, THEY MAY BE CLOSE TOGETHER ON THE SAME TOOTH OR DIFFERENT TOOTH. SO THERE’S MANY THINGS WE LOOK AT. SOME TEETH ARE SHAPED ALMOST SQUARE, NOT QUITE SQUARE, BUT SQUARISH, AND SOME LOOK MORE LIKE A TULIP. THEY ARE SORT OF CURVED LIKE THIS, AND THEY COME UP. SO ALL TEETH HAVE DIFFERENT PROPERTIES. Q: IF YOU ARE ABLE TO MAKE AN IDENTIFICATION, HOW CERTAIN IS THAT IDENTIFICATION? A: VERY CERTAIN. I WOULD SAY USE A TERM REASONABLE DENTAL CERTAINTY OR THAT THEY ARE ONE AND THE SAME INDIVIDUAL. IN OTHER WORDS, EVERYTHING SHOWS ME WITHOUT EXCEPTION THAT THIS PERSON WHO I HAVE IDENTIFIED, THAT THE X RAYS OF WHO THAT MIGHT BE, THE MISSING PERSON RECORDS, ARE ALMOST THE SAME AS THE POST MORTEM. NOW, SOMETIMES THE X RAYS THAT WE GET ARE — HAVE BEEN TAKEN SEVERAL YEARS BEFORE, AND SOME TEETH ARE — MAY BE TAKEN OUT BY DENTISTS OR SOME FILLINGS MAY HAVE BEEN DONE SO THEY ARE NOT ALWAYS GOING TO BE THE SAME. BUT WHAT WE HAVE TO LOOK AT IS A REASONABLE COMPARISON AND IF SOMETHING IS EXPLAINABLE, THERE’S A FILLING IN THIS TOOTH, WELL, YOU DIDN’T HAVE IT IN 1990, BUT NOW HE HAS A FILLING IN 1996, THAT’S A LOGICAL EXPLANATION OF WHY IN THAT PARTICULAR TOOTH IT DOES LOOK EXACTLY THE SAME ON BOTH X RAYS. Q: NOW I WOULD LIKE TO DIRECT YOUR ATTENTION, DR. SPERBER, TO IT LOOKS LIKE FEBRUARY 28TH OF THIS YEAR. Q: WERE YOU ASKED TO TRY TO MAKE AN IDENTIFICATION BASED UPON DENTAL WORK ON A YOUNG GIRL WHO WAS RECOVERED ON DEHESA ROAD? Q: WHERE DID YOU GO TO DO THAT WORK? A: AT THE SAN DIEGO MEDICAL EXAMINER’S OFFICE. Q: AND WERE YOU PROVIDED ANY MATERIALS TO ASSIST YOU? A: AT THAT — I RECEIVED FILMS OF DANIELLE VAN DAM FROM PERSONNEL THERE AT THE MEDICAL EXAMINER’S OFFICE. Q: ARE YOU ABLE TO TELL US THE NAME OF THE DENTIST THAT YOU GOT IT FROM? A: I THINK IT WAS BAKER IF I’M NOT MISTAKEN. Q: AND ARE YOU AWARE OF HOW OLD THE DENTAL X RAYS WERE? A: I THINK THEY WERE ABOUT A YEAR OLD. THEY WERE FROM DR. BRUCE BAKER. AND THEY WERE TAKEN ON MAY 22ND, 2001. Q: WERE YOU ALSO SHOWN A BODY? Q: DESCRIBE THE BODY, PLEASE. A: THE BODY WAS OF A YOUNG PERSON. IT WAS IN I WOULD SAY MODERATE TO SEVERE DECOMPOSITION. THE BODY LOOKED QUITE DARK. THERE WAS SOME ANIMAL DEPREDATION OF THE BODY. IN OTHER WORDS, SOME OF THE TISSUE HAD BEEN REMOVED. AND IT WAS A BODY THAT HAD — THAT DID SHOW SEVERE DECOMPOSITION. MR. DUSEK: YOUR HONOR, I HAVE HAD MARKED AS COURT’S EXHIBIT 7 THIS PHOTO DISPLAY BOARD LABELED AT THE TOP AUTOPSY. IT HAS ELEVEN PHOTOGRAPHS LABELED A THROUGH K.
Q: UNFORTUNATELY THE HEAD PHOTOGRAPHS ARE AT THE TOP OF THE CHART, DR. SPERBER. DO YOU RECOGNIZE WHAT WE HAVE THERE? Q: WHAT DOES THAT SHOW? A: THAT WAS THE VICTIM THAT I VIEWED THAT DAY ON THE 28TH. OF THIS YEAR. Q: THE TEETH THAT ARE VISIBLE IN PHOTOGRAPHS B AND C, WERE THEY THERE WHEN YOU STARTED YOUR WORK? A: ACTUALLY THE ONE TOOTH ON C, AND YOU CAN SEE A LITTLE BIT ON B, THE RIGHT FRONT TOOTH WAS NOT IN THAT PLACE THAT IT IS NOW. IT WAS IN THE MOUTH. Q: DID YOU TAKE X RAYS OF THIS BODY? Q: I’VE HAD MARKED AS COURT’S EXHIBIT 10 IT LOOKS LIKE A DENTAL X RAY. DO YOU RECOGNIZE THAT, DOCTOR? A: YES. IT’S OF CASE NUMBER 020410, DANIELLE VAN DAM. Q: THAT’S FOR THIS CASE? Q: WHO DID YOU TAKE THAT X RAY OF? Q: THE INDIVIDUAL WHO’S DEPICTED IN COURT’S EXHIBIT 7? Q: DID YOU TAKE A SECOND X RAY? MR. DUSEK: I’VE HAD MARKED, YOUR HONOR, AS COURT’S EXHIBIT 11 ANOTHER DENTAL X RAY IT LOOKS LIKE. Q: DO YOU RECOGNIZE THAT? A: THIS IS AN X RAY THAT I TOOK INITIALLY SHOWING A NUMBER OF FRONT TEETH MISSING WITH THE EXCEPTION OF TOOTH NUMBER 8 WHICH IS THE RIGHT FRONT CENTRAL. Q: THE TWO X RAYS THAT I’VE GIVEN YOU, 10 AND 11, WERE THEY TAKEN ON THE SAME DAY? A: NO, SIR, THEY WERE NOT. Q: WHAT DAYS WERE THEY TAKEN ON? A: THE 10 WAS TAKEN ON FEBRUARY 28TH OF ’02. AND THE OTHER ONE, PEOPLE’S EXHIBIT NUMBER 11, WAS TAKEN I BELIEVE ON THE 3RD, MARCH 3RD OR 4TH. Q: FOR US TO TRY TO USE THESE X RAYS AT A LATER TIME, CAN YOU TELL US THE FRONT AND BACK OF THESE X RAYS SO WE CAN, YOU KNOW, AFTER YOU LEAVE HERE, WHEN YOU’RE DONE TESTIFYING, WHAT’S THE FRONT AND WHAT’S THE BACK OF THESE X RAYS. A: WELL, THE FRONT WOULD BE — THERE’S A LABEL. SO AS YOU LOOK AT THIS X RAY, IF I UNDERSTAND YOU, MR. DUSEK, THIS WOULD BE THE RIGHT SIDE OF THE MOUTH. SO YOU ARE LOOKING AT THIS INDIVIDUAL’S MOUTH. THIS IS THE RIGHT SIDE OF THE MOUTH. THERE’S THE LEFT SIDE, AND THERE’S A LITTLE DIAGRAM THAT INDICATES THAT. Q: AND, IN FACT, THERE IS A LABEL POINTING TO THE LEFT SIDE OF THE MOUTH ON THIS X RAY, IS THAT CORRECT? THE OTHER SIDE — I HAVEN’T PUT RIGHT IN, BUT THE OTHER IS OBVIOUSLY RIGHT SIDE. A: THAT’S CORRECT. YES, SIR. Q: WHEN YOU DID THE EXAMINATION OF THIS BODY ON THE 28TH OR AT LEAST THE MOUTH REGION, WHAT DID YOU FIND? A: WELL, THE INSIDE OF THE MOUTH WAS PRETTY WELL DECOMPOSED. THERE WAS NOT VERY MUCH TONE LEFT TO THE TISSUE. AS I MENTIONED, THERE WERE — THE TEETH WERE FAIRLY LOOSE, AND I’M TALKING ABOUT THE UPPER FRONT TEETH. THERE WERE NO MISSING OR LOOSE TEETH ON THE LOWER JAW. THE MISSING TEETH WERE ALL CONFINED TO THE UPPER FRONT AREA. SO IT WOULD BE THE UPPER FRONT TEETH. Q: DID YOU GET A CHANCE TO EXAMINE THE JAW AND THE LIP AREA? Q: DESCRIBE WHAT YOU FOUND. A: WELL, THE LIPS WERE — YOU COULD STILL MAKE THESE OUT. THEY WERE VERY DARK IN COLOR. THEY NO LONGER WERE PINK. THEY NO LONGER LOOKED LIKE HUMAN TISSUE AS WE KNOW IT. AND, AGAIN, AS I SAY, THE TEETH WERE FAIRLY LOOSE. AGAIN, SOME OF THE TEETH IN FRONT, SOME OF THE GUM TISSUE HAD ALREADY DECOMPOSED FROM AROUND THAT FRONT AREA. AND BASICALLY THE LOWER JAW WAS IN FAIRLY GOOD SHAPE. IT WAS THE UPPER THAT WE HAD MISSING TEETH AND LOOSE TEETH. Q: WE’LL GET BACK TO THAT IN A BIT. WERE YOU ABLE TO MAKE A COMPARISON BETWEEN THE KNOWN X RAYS OF DANIELLE VAN DAM AND THE X RAYS YOU TOOK OF THIS BODY? Q: WHAT WERE YOUR FINDINGS? A: THE FINDINGS WERE THAT I FELT THAT THE X RAYS WERE ONE AND THE SAME INDIVIDUAL. AND THIS WAS BASED ON THE RATHER — AS AN EXAMPLE, THE VERY LARGE CENTRAL INCISORS, AGAIN, THE TWO FRONT TEETH, THAT DANIELLE HAD. THEY WERE BASED ON THE GENERAL SHAPE OF THE SIX-YEAR MOLAR. SIX-YEAR MOLAR IS A PERMANENT TOOTH WHICH WOULD BE IN PLACE AT THE TIME OF SOMEONE WHO IS SEVEN YEARS OLD. AND I ALSO I THINK BASED IT ON THE POSITION AND RELATIONSHIP OF SOME OF THE ROOTS OF THE TEETH AS WELL. Q: HOW CERTAIN WERE YOU REGARDING YOUR IDENTIFICATION? A: THAT I DIDN’T — BASICALLY I WOULD SAY THAT THERE WOULD NOT — THERE COULD NOT BE ANYBODY IN THE WORLD WITH THE SAME SET OF TEETH BECAUSE THERE WAS SUCH A VERY GOOD COMPARISON OF THE ANTE-MORTEM AND POST-MORTEM FILMS. IT WAS ACCURATE. Q: YOU TALKED PREVIOUSLY HERE ABOUT SOME TEETH MISSING. Q: OR AT LEAST LET’S START WITH TEETH THAT WERE LOOSE. Q: WERE THERE ANY TEETH LOOSE ON THE BOTTOM JAW? Q: ON THE TOP JAW DESCRIBE THE CONDITION OF THE TEETH. A: YES. WHEN I SAW THE BODY, THERE WERE — THERE WERE FOUR TEETH MISSING. AND ONE OF WHICH WAS THE UPPER RIGHT WHAT WE CALL DECIDUOUS CUSPID OR ALSO CALLED A BABY TOOTH. SO THIS TOOTH IS NOT REPLACED IF SOMEONE IS ELEVEN. SO WE WOULD EXPECT TO SEE THAT TOOTH THERE. THERE WAS A SOCKET FOR THAT TOOTH, BUT IT WAS NO LONGER THERE. Q: WHERE IS THAT SOCKET? A: THE SOCKET WOULD BE ON THE UPPER RIGHT SIDE RIGHT BY THE EYE TOOTH. NOW I’M POINTING TO MY OWN EYE TOOTH. AS AN ADULT SHE DID NOT HAVE THAT AND WOULDN’T HAVE HAD THAT IN PLACE AT THE AGE OF SEVEN. IT WOULD HAVE BEEN UP HIGH. BUT THE ONE TOOTH THAT IT WAS TO REPLACE WHICH WOULDN’T COME OUT UNTIL TEN OR ELEVEN WAS MISSING. Q: — HOW MANY TEETH BACK IS THE ONE YOU ARE TALKING ABOUT? A: IT WOULD BE THREE BACK. ONE, TWO, AND THEN TO THE EYE TOOTH. Q: THE FRONT TOOTH IS CALLED WHAT? A: IS CALLED CENTRAL, THE TWO FRONT ONES ARE CALLED CENTRAL INCISORS, RIGHT AND LEFT. AGAIN PATIENT’S RIGHT OR LEFT. Q: AND THE NEXT TOOTH IS CALLED WHAT? A: AFTER THAT CANINE IS THE RIGHT LATERAL INCISOR. AND IT HAS A NUMBER OF 7. THAT’S WHAT WE CALL 7. Q: THE NEXT TOOTH OVER IS CALLED WHAT? A: IS THE RIGHT CENTRAL INCISOR, NOT LATERAL INCISOR BUT CENTRAL INCISOR. IT’S TOOTH NUMBER 8. Q: AND THE NEXT ONE? A: THE LEFT FRONT TOOTH. Q: WHOA. I THINK YOU LOST ME. I JUST WANT TO GO BACK ONE SIDE OF THE MOUTH. A: THAT’S WHAT I’M DOING. Q: I’M POINTING AT MY FRONT LEFT TOOTH. Q: WHAT ARE WE CALLING THAT? A: THAT’S 9. THAT’S THE LEFT CENTRAL INCISOR. Q: AND I’M THEN GOING TO MOVE OFF TO THE NEXT TOOTH TO MY LEFT. A: IS NUMBER 10, WHICH IS THE LEFT LATERAL INCISOR. Q: SO THEY ARE BOTH CALLED INCISORS? A: YES, THEY ARE. THE DIFFERENCE IS CENTRAL AND LATERAL. CENTRAL IS ONE IN THE MIDDLE; LATERAL IS OFF TO THE SIDE. Q: AND THEN GOING BACK TO THE THIRD TOOTH ON THE LEFT IS CALLED WHAT? A: IN THIS CHILD WOULD BE A LEFT DECIDUOUS OR LEFT BABY CANINE OR CUSPID. Q: AND THEN THE NEXT ONE. A: WELL, THEN AFTER THAT WE’VE COVERED ALL SIX TEETH. AND AFTER THAT EVERYTHING WAS IN PLACE ON THE RIGHT SIDE AND EVERYTHING WAS IN PLACE ON THE LEFT SIDE. SO WE’RE BASICALLY JUST TALKING ABOUT SIX UPPER FRONT TEETH. Q: WOULD YOU BE ABLE TO DRAW THESE TEETH FOR US, DR. SPERBER? Q: I HAVEN’T HAD IT MARKED YET, BUT GIVING YOU A BLANK PIECE OF PAPER. THE COURT: WHAT’S NEXT IN ORDER, PEG? THE COURT: ALL RIGHT. IT WILL BE MARKED 12 FOR IDENTIFICATION. Q: AND FOR RIGHT NOW I’LL JUST PUT A TWELVE IN THE LOWER RIGHT-HAND CORNER. MR. DUSEK: AND I WILL PUT THE TAG UP IN THE UPPER LEFT-HAND CORNER. Q: WOULD YOU STEP TO THE BLANK PIECE OF PAPER, DR. SPERBER, AND GIVE US THOSE TEETH THAT YOU’RE TALKING ABOUT. MR. FELDMAN: YOUR HONOR, SIDEBAR, PLEASE, WHILE HE’S DOING THIS. Q: HAVE YOU DRAWN THE TEETH AND LABELED THEM FOR US, DR. SPERBER? Q: TELL US WHAT YOU HAVE UP THERE. A: STARTING FROM THE RIGHT SIDE, THE FIRST TOOTH IS THE UPPER RIGHT DECIDUOUS CUSPID ALSO KNOWN AS A CANINE. THE NEXT TOOTH IS THE NUMBER 7, THE UPPER RIGHT LATERAL INCISOR. NUMBER 8 WOULD BE THE UPPER RIGHT CENTRAL INCISOR. NUMBER 9 WOULD BE THE UPPER LEFT CENTRAL INCISOR. NUMBER 10 WOULD BE THE UPPER LEFT LATERAL INCISOR. AND THEN THE LAST ONE WOULD BE THE UPPER LEFT DECIDUOUS OR BABY CANINE. Q: AND WHEN YOU EXAMINED DANIELLE, USING THE PHOTOGRAPH THAT WE HAVE DEPICTED IN EXHIBIT 7, WE SEE SOME TEETH IN THE UPPER PART OF HER MOUTH. Q: WERE THEY IN THAT CONDITION WHEN YOU FIRST SAW HER? A: I DON’T BELIEVE, THOUGH — THE TOOTH WAS IN. I PUT IT IN. IT WOULD TEND TO FALL OUT, SO I’M NOT SURE THAT IT WAS IN PLACE WHEN I SAW THE START OF MY EXAMINATION OF HER. Q: AND IN PHOTOGRAPH C THERE APPEARS TO BE A TOOTH ON HER EXTREME LEFT IT LOOKS LIKE ON THE TOP. Q: WHICH TOOTH IS THAT? A: THAT WOULD BE THE UPPER LEFT DECIDUOUS CANINE. THAT WAS IN PLACE. NOW, YOU TOLD US THAT THERE WERE SOME TEETH MISSING. Q: WHICH TEETH WERE THEY? A: WELL, AGAIN, THIS ONE TOOTH WE’RE TALKING ABOUT 8, OF 8, THAT I RECOVERED, IT WAS AT THE — IT WAS SORT OF IN THE ORAL CAVITY. THE TEETH THAT WERE ACTUALLY MISSING WERE — WOULD IT HELP IF I COLORED THOSE IN MAYBE? Q: LET ME JUST MAKE SURE WE UNDERSTAND. YOU SAY 8. IS THAT THE TOOTH THAT’S VISIBLE IN PHOTOGRAPH C ON EXHIBIT 7? Q: IS THAT THE SAME TOOTH THAT’S VISIBLE IN PHOTOGRAPH B ON EXHIBIT 12? Q: SO THAT ONE WAS PLACED BACK IN FOR THESE PHOTOGRAPHS TO BE TAKEN? A: THAT’S CORRECT, YES, SIR. Q: NOW, THERE WERE TEETH THAT WERE MISSING. Q: COULD YOU IDENTIFY THOSE ON YOUR EXHIBIT 12, IF YOU WOULD. MR. DUSEK, WOULD IT HELP IF I COLORED THAT TOOTH IN AS THE ONES THAT ARE MISSING? A: THIS TOOTH WAS MISSING. THE UPPER RIGHT DECIDUOUS CANINE, THE BABY TOOTH. NUMBER 7 WAS ALSO MISSING. NUMBER 8 WAS LOOSE, BUT I PUT IT IN, SO IT REALLY WASN’T MISSING. NUMBER 10 WAS RECOVERED FROM THE MOUTH. ABOUT TWO DAYS LATER I NOTED — I WAS TALKING TO THE MEDICAL EXAMINER ABOUT THIS, AND I GOT ANOTHER X RAY THAT SHOWED THERE WAS A TOOTH IN THE MOUTH. Q: WHEN YOU FIRST EXAMINED THE BODY, THOUGH, THAT TOOTH NUMBER 10 WAS MISSING? Q: LET’S CONTINUE TO COLOR THAT ONE IN AS ORANGE LIKE THE REST. AND THIS TOOTH, THE UPPER LEFT DECIDUOUS CANINE, WAS PRESENT. NOW, WHEN YOU WERE FIRST THERE, DID YOU FIND ANY OF THESE MISSING TEETH, THE FIRST TIME, ON THE 28TH? A: THE ONLY MISSING TOOTH I EVER FOUND WAS NUMBER 10. THAT WAS THE ONLY ONE THAT — OF THE ONES THAT ARE MISSING MARKED WITH THE ORANGE. THAT I RECOVERED WAY IN THE BACK OF THE MOUTH IN AN AREA CALLED THE VESTIBULES, WHERE THE GUM MEETS THE CHEEK, WAY IN THE BACK. AND I DID NOT SEE THAT WHEN I FIRST TOOK THE X RAYS ON THE 28TH. Q: WHEN DID YOU FIND THE MISSING NUMBER 10 TOOTH? A: I BELIEVE THAT WAS I THINK THREE OR FOUR DAYS LATER. Q: CAN YOU TAKE A BLACK FELT PEN, IF YOU WOULD, AND WRITE IN FOUND INSIDE THAT TOOTH SO WE KNOW WHICH ONE YOU’RE TALKING ABOUT. Q: YOU’VE DONE THAT, SIR. Q: YOU’VE DONE THAT. THANK YOU. Q: WHAT EFFORTS WERE MADE TO TRY TO LOCATE THE OTHER THREE MISSING TEETH? A: AGAIN A VERY THOROUGH SEARCH OF THE MOUTH. A PERUSAL OF A LATERAL-PLATE FILM THAT WAS TAKEN. IT’S ALMOST A STANDARD FILM IN CASES SUCH AS THIS TO LOOK FOR ANYTHING THAT MIGHT BE THERE THAT YOU CAN’T SEE VISUALLY. AND SO I LOOKED AT THAT. I ALSO EXAMINED THE MOUTH AGAIN, WAS NOT ABLE TO FIND ANY OF THE OTHER THREE TEETH. Q: HOW ABOUT X RAYS OF THE REST OF THE BODY? A: I THINK X RAYS WERE TAKEN OF THE REST OF THE BODY. I DID NOT PERSONALLY EXAMINE THOSE X RAYS. Q: WHAT HAPPENS TO A TOOTH — WELL, CAN YOU TELL US IN YOUR OPINION WHAT CAUSED THESE TEETH TO FALL OUT? A: WELL, IT’S NOT UNCOMMON IN A DECOMPOSED BODY TO FIND TEETH THAT BECOME LOOSE. AND THAT’S BECAUSE THE TEETH ARE HELD IN A BONE BY A LITTLE THIN MEMBRANE ABOUT THE WIDTH OF A PIECE OF PAPER. AND THAT LINES AND IS THE CONNECTOR BETWEEN THE BONE AND THE TEETH. THAT DECOMPOSES ALONG WITH THE MUSCLE AND SOFT TISSUES AND SKIN. AND AS IT DOES, THERE’S NO LONGER ANYTHING HOLDING ONTO THOSE FRONT TEETH. THE FRONT TEETH ALL USUALLY HAVE ONE, SINGLE ROOT, SO THEY ARE MORE EASILY DISLODGED. THE BACK TEETH MAY HAVE MORE THAN ONE ROOT. AND SOMETIMES THOSE TEETH DO NOT COME OUT BECAUSE THEY ARE SORT OF LOCKED INTO THE BONE. SO IT’S NOT UNUSUAL IN DECOMPOSED BODY TO FIND MISSING TEETH, PARTICULARLY THE SIX FRONT TEETH, BECAUSE, AGAIN, THE ROOTS ARE FAIRLY STRAIGHT. AND THIS IS SEEN QUITE OFTEN IN DECOMPOSED BODIES. Q: DID YOU GET A CHANCE TO COMPARE THE CROWN OF DANIELLE’S TEETH WITH THE ROOT OF HER TEETH? Q: WHAT DID THAT INDICATE? A: THE CROWN THAT I HAD, TOOTH NUMBER 8, RATHER, OF TOOTH NUMBER 8, THE ONE I DID HAVE, THIS ONE WAS MISSING, HAD A VERY UNUSUALLY LARGE, LONG AND WIDE CROWN. AND IN DENTISTRY WE TALK ABOUT THE CROWN/ROOT RATIO. MOST PEOPLE’S MOUTHS, THE ROOT IS A LITTLE BIT LONGER THAN THE CROWN. AND, OF COURSE, THE DIFFERENTIATION BETWEEN THE CROWN AND THE ROOT IS USUALLY RIGHT ALONG THE GUMLINE, BUT YOU CAN SEE IT ON THE TOOTH. IT SORT OF NIPS IT. IT’S SORT OF THE WAIST OF THE TOOTH. IT COMES DOWN AND THEN OUT AGAIN. AND SO IT’S PRETTY OBVIOUS WHICH IS THE CROWN AND WHICH IS THE ROOT. SO IN THAT CASE I FOUND THAT THE ROOT WAS ALMOST THE SAME LENGTH AS THE CROWN. MEASURING AGAIN FROM THE MIDLINE. IF I HAD PUT ROOTS, I COULD HAVE DONE IT HERE. SO WHAT I WAS TALKING ABOUT THE CROWN, ROOT, YOU IMAGINE ROOTS COMING UP FROM EACH OF THOSE TEETH. I FOUND THIS ALMOST THE SAME LENGTH AS THE ROOT ITSELF. Q: WHAT DOES THAT MEAN IN RELATION TO THE STABILITY TO THE TEETH? — SOMETIMES IN A PLAYGROUND. KIDS WILL BE GOING DOWN SWINGS; THEY HIT A TOOTH; TOOTH IS MISSING. KID GOES TO THE — IS TAKEN TO THE DENTIST WITH THE TOOTH, AND SOMETIMES WE CAN IMPLANT THOSE TEETH. AND OFTENTIMES THOSE TEETH CAN COME OUT WITH LITTLE OR NO FRACTURING OF THE — WHAT I WAS TALKING TO YOU ABOUT BEFORE, THE ALVEOLAR BONE, THE SUPPORTING BONE. SOMETIMES IT COMES OUT CLEANLY; SOMETIMES YOU SEE A LITTLE FRACTURE. IN THIS CASE OF THE BODY OF DANIELLE VAN DAM, 020410, I NOTICED THAT THERE WAS — THERE DID NOT APPEAR TO BE ANY FRACTURING OF THE SURROUNDING BONE. Q: WHAT DID THAT MEAN? A: WELL, IT SIMPLY MEANT THAT THE INJURY — IF SOMETHING HAD HIT, SAY, A HEAVY OBJECT LIKE A CROWBAR, THE CROWBAR HAD HIT SOMEBODY, YOU MIGHT SEE INJURIES TO THE MOUTH, YOU MIGHT SEE TO THE SOFT TISSUES, YOU MIGHT ALSO SEE A FRACTURE TO THE BONE. IN THIS CASE I SAW NO FRACTURES TO THE TEETH THEMSELVES, NO FRACTURES TO THE ROOTS, DID NOT SEE THOSE ON THE X RAYS, BUT MADE A NOTATION THAT THE WHAT WE CALL UNFAVORABLE ROOT/CROWN RATIO, WHICH IS VERY IMPORTANT IN PERIODONTAL DISEASE WHEN PEOPLE BEGIN TO LOSE BONE AROUND THEIR TEETH, SOME PEOPLE THEY LOSE A LOT OF BONE AND THE TEETH ARE STILL LIKE ROCKS; OTHER PEOPLE HAVE VERY SHORT ROOTS, THEY LOSE A LITTLE BONE, IT BECOMES LOOSE, AND IT BECOMES A REAL PROBLEM FOR DENTISTS TO MAINTAIN THOSE TEETH. SO THAT WAS THE ONE THING I DID NOTICE, THAT THERE WAS A RATHER WHAT I WOULD CALL UNFAVORABLE RATIO OF THE CROWN TO THE ROOT. Q: RATHER THAN BEING HIT WITH A HARD METAL OBJECT TO THE MOUTH OR JAW OR TEETH AREA, IF AN INDIVIDUAL WITH SUCH A CROWN/ROOT RATIO WERE HIT WITH A SOFT OBJECT, WOULD YOU NECESSARILY FIND DAMAGE TO THE GUM THAT YOU WERE TALKING ABOUT? A: PROBABLY NOT. IF THE TEETH WERE PROTRUDING BEYOND THE LIP. IF SOMETHING WAS TO CATCH THOSE TEETH THAT DIDN’T IMPINGE ON THE LIP, THAT COULD RESULT IN THE LOSS OF A TOOTH LIKE THAT. Q: YOU INDICATED THAT THE POSSIBILITY’S THAT THIS WAS FROM DECOMPOSITION THAT THE TEETH FELL OUT. Q: WHERE ARE THE TEETH? A: TEETH AS FAR AS I’M CONCERNED WERE NOT IN THE BODY. LOOKED VERY CAREFULLY IN THE ORAL CAVITY, PERUSED THE X RAY, COULD NOT FIND THEM. I WAS NOT AT THE SEARCH SCENE IN DEHESA. I HAVE NO IDEA. I IMAGINE THE SEARCH WAS VERY THOROUGH. THEY DID NOT FIND ANY TEETH THERE. MR. BOYCE: OBJECTION. HEARSAY. CALLS FOR SPECULATION. THE COURT: SUSTAINED AS TO THE LAST PORTION. THE JURY IS TO DISREGARD. Q: WERE YOU SHOWN ANY TEETH THAT HAD BEEN REPRESENTED AS BEING FOUND AT THE SCENE? Q: BASED UPON THAT INFORMATION, WHAT DOES THAT LEAD YOU TO? MR. BOYCE: OBJECTION. CALLS FOR SPECULATION. IF THEY’RE NOT AT THE SCENE WHERE THIS VICTIM WAS FOUND, THEY’RE NOT ON THE BODY OR IN THE ORAL CAVITY OF THIS INDIVIDUAL, THEY COULD BE SOMEWHERE. THEY COULD HAVE BEEN LOST DURING TRANSPORTATION OF THIS BODY TO THAT AREA OR THEY COULD HAVE BEEN LOST AT SOME TIME JUST PRIOR TO HER DEATH OR AFTER HER DEATH. Q: THE FACT THAT THE TEETH ARE MISSING, COULD IT ALSO BE CONSISTENT WITH SOME TRAUMA AND DECOMPOSITION? A: THAT’S A POSSIBILITY, YES, SIR. A: WELL, IF THERE WERE SOME INJURY OR LOOSENING OF THAT TOOTH TO BEGIN WITH, AND THEN WITH DECOMPOSITION SETTING IN, THOSE TEETH COULD — WOULD BE MORE LIKELY, THE ONES THAT HAD BEEN, IF WE COULD DOCUMENT THE ONES THAT HAD BEEN HARMED BY SOME TYPE OF TRAUMA, THEY WOULD BE MORE APT TO COME LOOSE. Q: NOW, I ASSUME YOU’VE RESPONDED TO BODIES WHO HAVE BEEN LEFT OUT IN THE WILDERNESS IN THE PAST. A: YES, SIR. MANY TIMES. Q: BASED UPON YOUR EXPERIENCE, ARE TEETH SOMETHING THAT ANIMALS TAKE AWAY? A: NOT USUALLY, NO, SIR. A: TEETH USUALLY ARE — WILL BE FOUND MAYBE IN AN AREA AROUND THE BODY BECAUSE THE ANIMALS SOMETIMES WILL BE SPARRING WITH EACH OTHER. USUALLY MOST ANIMALS WILL, PREDATORY ANIMALS, WILL FIRST GO AFTER SOFT TISSUE WHICH COULD BE DEFINED AS THE MUSCLES, THE INNER ORGANS. IT’S VERY, VERY RARE THAT I’VE SEEN ANY ANIMAL DEPREDATION, ANY KIND OF GNAWING AWAY OF THE TEETH AND THE LIP AREA. I THINK IT’S PROBABLY THERE’S NOT A — USUALLY A LOT OF FAT IN THAT AREA. ANIMALS WILL USUALLY GO AFTER TISSUE THAT IS VERY NUTRITIOUS. AND THAT’S TRUE OF MOUNTAIN LIONS, IT’S TRUE OF COYOTES. AND THEY WILL OFTEN GO TO THE MORE NUTRITIOUS TISSUES SUCH AS THE LIVER, KIDNEY, THINGS OF THAT NATURE. MUSCLES. RARELY DO THEY ATTACK THE FACE ‘CAUSE I THINK THERE’S JUST PROBABLY NOT A LOT OF FAT THERE. Q: IF AN ANIMAL WERE RESPONSIBLE FOR TAKING THE TOOTH FROM THE BODY ELSEWHERE, WOULD YOU EXPECT TO SEE SOME ANIMAL ACTIVITY ON THE FACE? A: I WOULD EXPECT TO SEE SOMETHING. Q: TAKING YOU BACK NOW TO EXHIBIT 7, THE AUTOPSY PHOTOS THAT SHOW THE FACE. DO YOU SEE ANY SIGNS OF ANIMAL ACTIVITY TO HER FOREHEAD, CHEEKS, NECK AREA? A: NO, SIR, I DON’T. I DID SEE SOME ON THE ARMS. I THINK ON THE LEGS. BUT NOT ANYWHERE ON THE FACE AND THE HEAD. Q: WHEN YOU RECOVERED THE ONE TOOTH THAT WAS MISSING, — TOOTH NUMBER 10, IS THAT CORRECT? Q: — WHAT DID YOU DO WITH THAT? X RAY OF THAT IN THE SOCKET. Q: AND IS ONE OF THOSE X RAYS ONE OF THE EXHIBITS I SHOWED YOU? Q: WOULD YOU HOLD IT UP FOR US AND TELL US WHICH EXHIBIT IT IS. A: THIS IS THE ONE WITH NUMBER 10 BACK IN PLACE. THE COURT: WHAT’S THE NUMBER? EXCUSE ME. WHAT’S THE NUMBER OF THAT, DOCTOR? THE WITNESS: PEOPLE’S NUMBER 10, SIR. Q: — IDENTIFY WHICH X RAY YOU’RE POINTING AT. PERHAPS YOU CAN COME DOWN HERE IN THE MIDDLE. MY FINGER IS DIRECTLY ABOVE THE ONE TOOTH, THE LATERAL INCISOR. THIS IS TOOTH NUMBER 10. I DON’T KNOW IF YOU CAN SEE IT AGAINST THE LIGHT IN THIS ROOM, BUT MY FINGER IS DIRECTLY ABOVE THAT. Q: AND THE X RAY YOU’RE SHOWING IS THE ONE THAT’S THIRD FROM THE RIGHT ON THE TOP ON THE X RAY, JUST THE ONE YOU’RE POINTING AT RIGHT NOW. A: WELL, THESE ARE DIFFERENT VIEWS. THESE DON’T SHOW THE VIEW AT ALL. SO IT WOULD BE ONE, IT WOULD BE THIS ONE, TWO. NO. EXCUSE ME. Q: — IS IT THE ONE, TWO, THIRD X RAY FROM THE TOP OF THIS EXHIBIT? A: I SEE WHAT YOU MEAN. OH, THIRD X RAY. IT IS THE THIRD X RAY, YES. Q: HOW ABOUT IF YOU WALK ON DOWN AND — THAT’S AFTER YOU’VE REINSERTED THAT TOOTH? Q: AND ONCE IT’S REINSERTED, ARE YOU ABLE TO TELL US ANYTHING ABOUT HOW FAR UP THERE IT GOES AND HOW FAR IT HAD EXTENDED BEFORE IT WAS KNOCKED OUT OR FELL OUT? I’M SORRY. A: WELL, IT APPEARED IN THE X RAY. IT — I PUSHED IT ALL THE WAY UP. AND THE X RAY INDICATED THAT IT WAS IN PLACE. AND IT WAS NOTICEABLY HIGHER THAN THE — THAN THE NUMBER 8, THE ONE TOOTH THAT WE DID HAVE. AND THAT’S WHY I DREW IT IN THIS POSITION. IT WAS QUITE A BIT HIGHER. Q: HOW VISIBLE WOULD THAT MAKE THAT TOOTH? A: WELL, ON A PHOTOGRAPH OF AN INDIVIDUAL, BEFORE DEATH, YOU MIGHT EVEN SEE THAT TOOTH. Q: LET ME SHOW YOU WHAT WE’VE HAD MARKED AS COURT’S EXHIBIT 9. THIS PHOTO OF A YOUNG LADY. I BELIEVE IT’S DANIELLE VAN DAM. DO YOU SEE HER SMILE AND HER TEETH, THEY ARE VISIBLE THERE? Q: WHAT TEETH ARE YOU ABLE TO SEE FROM THE PHOTOGRAPH? A: YOU SEE TOOTH NUMBER 8, YOU SEE TOOTH NUMBER 9. Q: THOSE ARE THE TWO FRONT ONES? A: YES, SIR. BUT YOU DON’T SEE NUMBER 7, THE RIGHT LATERAL INCISOR, AND YOU DON’T SEE NUMBER 10, THE LATERAL INCISOR, BECAUSE AT HER AGE THAT TOOTH HAS NOT FINALLY COME DOWN. IN FACT, ON THE X RAY THE ROOT OF THAT TOOTH IS NOT FINALLY FORMED. SO AS A TOOTH FINALLY FORMS, IT COMES LOWER INTO THE CHEWING AREA. AND THE ROOT BECOMES MORE POINTED, SORT OF LIKE MY FINGER. Q: SO YOU’RE TELLING US THAT THAT TOOTH WOULD CUSTOMARILY NOT — AT LEAST IT’S NOT VISIBLE IN THIS PHOTOGRAPH. Q: I THINK YOU TOLD US ALSO THAT YOU FOUND TOOTH NUMBER 6 MISSING. IS THAT RIGHT? A: WELL, TOOTH NUMBER 6 IS THE UPPER RIGHT CANINE. WE WOULD NOT EXPECT TO SEE IT. IT’S ON THE X RAYS. BUT WE WOULD NOT EXPECT TO SEE IT IN HER MOUTH. BUT IN ITS PLACE IS THE RIGHT DECIDUOUS CANINE THAT NUMBER 6 WILL EVENTUALLY REPLACE. WHEN A PERSON IS ELEVEN OR TWELVE, THAT’S WHEN THAT CHANGE OCCURS. Q: IS THAT MISSING TOOTH VISIBLE IN THE PHOTOGRAPH OF DANIELLE VAN DAM? A: I THINK IT’S JUST BARELY VISIBLE THERE. Q: COULD YOU TURN AROUND THE PHOTOGRAPH AND SHOW THE JURY WHERE YOU THINK IT’S VISIBLE. A: INDICATING THE RIGHT SIDE, PEOPLE’S NUMBER 9. AND I’M ON THE RIGHT SIDE. ACTUALLY I HAVE TWO FINGERS WHERE THE SPACES ARE ON EITHER SIDE OF THOSE CENTRAL INCISORS, THERE ARE LATERAL INCISORS, NUMBER 7 AND 10. THEY ARE IN PLACE, BUT THEY JUST HAVE NOT COME DOWN ALL THE WAY. Q: COME ON DOWN HERE SO THESE FOLKS CAN SEE. A: THOSE TEETH ARE PROBABLY JUST HIDDEN BY THE LIP. AND THEY’RE UP HIGH. THEY STILL ARE FORMING, HAVE NOT COME DOWN INTO PLACE. BUT IF ON THIS PICTURE IT HAD BEEN A BIGGER SMILE, DEFINITELY YOU WOULD HAVE SEEN BOTH OF THOSE TEETH, BUT UP HIGH. THE EDGES OF THOSE TEETH WOULD PROBABLY, IN OTHER WORDS, JUST ABOVE THE LIPLINE. Q: ALL RIGHT. THANK YOU, DOCTOR. MR. FELDMAN: YOUR HONOR, COULD THE RECORD PLEASE REFLECT WHEN THE WITNESS HAS REFERRED TO PEOPLE’S EXHIBITS THEY ARE IN FACT COURT EXHIBITS? THE COURT: THEY ARE COURT OR TRIAL EXHIBITS, DOCTOR. Q: DOCTOR, DID YOU TAKE PHOTOGRAPHS DEPICTING THE SOCKETS WHERE THE MISSING TEETH WERE SUPPOSED TO BE? MR. DUSEK: AND I’VE HAD MARKED AS COURT’S EXHIBIT 8, YOUR HONOR, THIS PHOTOGRAPH OF HER MOUTH. Q: DOCTOR, LET ME SHOW YOU — JUST HAVE A SEAT IF YOU WOULD. Q: — PHOTOGRAPH COURT’S EXHIBIT 8. WHAT ARE YOU SHOWING US WITH THIS EXHIBIT? A: THIS IS PRETTY MUCH WHAT HER MOUTH LOOKED LIKE WHEN I FIRST SAW HER. Q: CAN YOU SHOW US THE SOCKETS WHERE THESE MISSING TEETH BELONG. A: YES, SIR, I CAN. THERE IS SOME DEBRIS IN HERE SO IT’S SORT OF HARD TO SEE THE SOCKET. BUT THE SOCKET IN GENERAL WOULD BE ROUND. SO OVER HERE, BELOW THE PEN, — SHALL I WALK IN FRONT OF THE JURY, MR. DUSEK? Q: HOW ABOUT CAN YOU CIRCLE WITH THAT ORANGE SHOW UP ON THAT COLORING ON THE PHOTOGRAPH? THE COURT: NO, COUNSEL. I CAN TELL YOU IT WON’T. MR. DUSEK: I THINK ALL WE HAVE IS RED OR GREEN. IS THE COURT AWARE OF WHETHER OR NOT THEY WOULD SHOW UP ON THE COLORING? THE COURT: I THINK THE RED MIGHT. YOU MIGHT JUST EXPERIMENT IN AN AREA. JUST BARELY, YOUR HONOR. WE MIGHT TRY GREEN, THOUGH. Q: LET’S TRY THE RED. A: HIS HONOR IS ABSOLUTELY RIGHT, THEY DON’T SHOW TOO WELL. I CAN INDICATE WITH A STICKER OF SOME SORT. IF WE HAD SOME KIND OF PIECE OF — ANY TYPE OF A PIECE OF PAPER THAT HAD SOME ADHESIVE ON IT, WE COULD JUST PUT IT RIGHT OVER. THE COURT: ACTUALLY, DOCTOR, I THINK YOU CAN — HE CAN DESCRIBE IT. NOT TAKING ANYTHING AWAY, BUT I THINK YOU CAN SEE THEM THERE. YOU CAN JUST POINT THEM OUT TO THE JURY. Q: POINT OUT THE SOCKETS, IF YOU WOULD. A: ALL RIGHT. THIS IS THE SOCKET WHERE, AND SHALL I MOVE IN FRONT SO THEY CAN SEE? Q: YOU CAN GET DOWN HERE IN THE MIDDLE. DIRECTLY IN FRONT OF THIS TOOTH WHICH IS THE FIRST BABY MOLAR IS A SOCKET OF THE DECIDUOUS CANINE, THE BABY TOOTH. THE NEXT CIRCULAR AREA IS THE SOCKET FOR TOOTH NUMBER 7, WHICH IS ONE OF THE MISSING ONES THAT WE NEVER FOUND. AND THAT IS THE RIGHT LATERAL INCISOR. THE NEXT ONE, THERE’S LITTLE BONE SHOWING THERE. IT’S A LITTLE EASY TO SEE. IT’S KIND OF ROUNDED. AND THIS WOULD BE TOOTH NUMBER 8, THE RIGHT FRONT TOOTH. THE NEXT ROUNDED AREA, IT DOESN’T HAVE THE WHITE BACKGROUND HERE FROM THE BONE, WOULD BE TOOTH NUMBER 9. THE UPPER LEFT CENTRAL INCISOR. THE NEXT ONE WOULD BE NUMBER 10, THE LEFT LATERAL INCISOR. THAT’S THE ONE THAT I FOUND PURSUANT TO A PERUSAL OF A LATERAL-PLATE X RAY. AND IT LEADS US BACK TO THE RIGHT OR THE LEFT CANINE TOOTH WHICH IS STILL PRESENT. SO THIS WOULD BE THE MATCH OF THIS TOOTH IF THAT TOOTH HAD BEEN FOUND. SO THE ONE — YOU SAID THIS TOOTH IS THE TOOTH THAT’S ON THE LEFT SIDE OF THE INDIVIDUAL? Q: AND IT WOULD GO TO THE SOCKET NEXT TO THE TOOTH ON THE RIGHT SIDE OF THE INDIVIDUAL. A: I’M SORRY. I DIDN’T UNDERSTAND HOW YOU SAID WHAT YOU STATED THEN, MR. DUSEK. Q: IF THIS TOOTH THAT’S ON THE LEFT SIDE OF THE INDIVIDUAL, THAT IS CALLED WHAT? A: LEFT CANINE, LEFT DECIDUOUS CANINE. Q: AND ITS MATCHING PAIR WOULD BE OVER IN THE SOCKET NEXT TO THE TOOTH THAT’S ON THE RIGHT SIDE OF THE MOUTH? Q: AND THE NUMBER 8 TOOTH THAT WAS ACTUALLY IN THE MOUTH, BUT WAS EITHER LOOSE OR HAD FALLEN OUT, THAT GOES INTO ONE OF THESE SOCKETS THAT WE SEE HERE. Q: ALL RIGHT. THANK YOU, SIR. Q: ARE YOU ABLE TO ESTIMATE FOR US APPROXIMATELY HOW LONG IT TAKES TEETH TO DECOMPOSE AND FALL OUT? A: DECOMPOSITION IS A VERY DIFFICULT THING TO DETERMINE. IT’S OBVIOUSLY IF SOMEONE WAS IN A SNOWBANK UP IN ALASKA, THERE’S A PRESERVATIVE INFLUENCE FROM THE COLD. AND A BODY LIKE THAT IF IT’S FROZEN CAN PROBABLY LAST FOREVER. IN OUR CLIMATE HERE, AVERAGE TEMPERATURE I THINK IN THE COUNTY IS AROUND SEVENTY DEGREES, IT DOESN’T TAKE VERY LONG FOR A BODY TO START DECOMPOSING. AGAIN, THE — SO WHAT I’M SAYING IS THAT THE TEMPERATURE HAS A TREMENDOUS EFFECT ON THE RATE OF DECOMPOSITION. THE HUMIDITY IN AN AREA WILL HAVE A TREMENDOUS EFFECT ON THE DECOMPOSITION RATE. IF WE FIND A BODY OUT IN THE DESERT AS AN EXAMPLE, IT’S FAIRLY DRY, THAT TYPE OF AN INDIVIDUAL WILL TEND TO BE SOMEWHAT MUMMIFIED. THE SKIN IS — STAYS INTACT. IT’S DRY. BUT IT’S ENTIRELY — IT’S MUMMIFIED. YOU WON’T SEE THAT SAME DECOMPOSITION PATTERN IF SOMEONE HAS BEEN FLOATING OUT IN THE OCEAN FOR A WHILE OR IN SAN DIEGO BAY. SO WATER, HUMIDITY, DRYNESS, AND TEMPERATURE ALL INFLUENCE THE RATE OF DECOMPOSITION. Q: ARE YOU ABLE TO PUT A TIME PERIOD ON HOW LONG IT WOULD TAKE FOR IT TO HAPPEN IN THIS CASE? A: I DON’T THINK I COULD ON THAT, MR. DUSEK. ONE LAST AREA. WE’VE HAD THIS PHOTOGRAPH USED BEFORE. IT’S COURT’S EXHIBIT 4. LABELED “DEHESA ROAD RECOVERY SITE.” AND WE HAVE WHAT NOW WE’VE LEARNED IS DANIELLE VAN DAM IN PHOTOGRAPHS E AND F.
Q: DO YOU SEE HOW SHE’S POSITIONED THERE? Q: IF THE TEETH FELL OUT BECAUSE OF DECOMPOSITION OR EVEN TRAUMA AND DECOMPOSITION, WHERE WOULD YOU EXPECT THEM TO BE? A: WELL, SOMEWHERE ON THE GROUND. AGAIN, SHE’S ON HER BACK IN THIS PHOTOGRAPH. SO I WOULD EXPECT THE TEETH TO BE DIRECTLY UNDER THE BODY OR POSSIBLY IN THE ORAL CAVITY, IN THE MOUTH AREA. Q: AND IF THEY HAD BEEN LOOSENED FROM TRAUMA, WOULD YOU NECESSARILY EXPECT THEM TO BE FOUND THERE OR AT SOME OTHER LOCATION? A: THEY COULD BE FOUND SOMEWHERE ELSE. AS I SAID, TRANSPORTATION TO THAT SITE OR SOME OTHER TIME. Q: DR. SPERBER, WHEN YOU EXAMINED THE BODY IN THIS CASE, I BELIEVE YOU FOUND A TREMENDOUS AMOUNT OF DECOMPOSITION. IS THAT CORRECT? A: THAT’S CORRECT, MR. BOYCE, YES. Q: AND YOU ALSO FOUND EVIDENCE OF ANIMAL ACTIVITY, IS THAT RIGHT? Q: AND THAT WAS — YOU WERE SPECIFICALLY ASKED TO LOOK AT THE ORAL CAVITY IN THIS CASE. A: BASICALLY I’M NOT THE MEDICAL EXAMINER, AND YES, I CONFINED MOST OF MY ATTENTION TO THE FACE AND HEAD. BUT CERTAINLY IT WAS ATTACHED AND THE BODY WAS RIGHT THERE AS I EXAMINED IT. SO — BUT THAT’S NOT MY MAIN THING, MY MAIN OBJECTIVE OR MAIN RESPONSIBILITY TO BE EXAMINING THE BODY. Q: AND IN EXAMINING THE BODY, SOME OF THE ANIMAL ACTIVITY YOU FOUND THERE WAS A FOOT MISSING, IS THAT RIGHT? A: AS I BELIEVE, YES, IT WAS. Q: — HOW CAN YOU TELL FROM YOUR EXAMINATION OF EXHIBIT 8 THAT THERE WAS NO ANIMAL ACTIVITY IN THIS AREA? A: WELL, I WOULD BE LOOKING FOR INDENTATIONS AND AGAIN THE TISSUE ITSELF IS VERY DARK. AND IN FACT, I THINK I READ EARLY REPORTS THAT SAID THAT SOME PEOPLE THOUGHT SHE HAD BEEN BURNED INITIALLY. AND EXPERIENCED INVESTIGATORS KNOW THAT A TISSUE CAN TURN THIS COLOR. IT’S DIFFICULT TO LOOK AT IT, BUT I DID LOOK AT IT. IT DOESN’T REALLY SHOW IN THIS PHOTOGRAPH, BUT I DID NOT SEE ANY SIGNS OF TOOTH MARKS IN THE TISSUE, WHERE IT WAS ESPECIALLY DECOMPOSED OR EVEN ON THE AREA HERE WHERE IT WAS A LITTLE BIT LESS EXPOSED. Q: YOU CAN’T EXCLUDE ANIMAL ACTIVITY, THOUGH, IN THIS AREA, CAN YOU? A: WELL, GOING BY THE LACK OF TRAUMA TO THE TISSUE, I WOULD SAY I COULD. Q: AND THAT’S BASED UPON YOUR EXAMINATION AT THE TIME WHEN YOU SAW THE BODY, IS THAT CORRECT? Q: OF COURSE YOU COULD NOT EXAMINE THE BODY BEFORE IT WAS RECOVERED, IS THAT CORRECT? A: I DID NOT BEFORE IT WAS RECOVERED. Q: WHEN YOU EXAMINED THE ORAL CAVITY, YOU FOUND THREE TEETH THAT WERE MISSING. A: WELL, INITIALLY FOUR, BUT I RECOVERED — WELL, AGAIN THE NUMBER 8 WAS I THINK JUST ON THE TONGUE WHEN I EXAMINED HER. AND, OF COURSE, SO THAT MEANT THAT THE CANINE WAS MISSING. THE — SO I INITIALLY FOUND FOUR TEETH MISSING. ONE I RECOVERED LATER ON. SO THERE WERE STILL THREE TEETH MISSING; NAMELY, THE UPPER RIGHT CANINE, NUMBER 7, AND NUMBER 8. Q: SHOWING YOU WHAT’S BEEN MARKED AS EXHIBIT 13. DO YOU RECOGNIZE THIS? Q: IN FACT, YOU HAVE A COPY OF IT OR YOU HAVE THE ORIGINAL IN FRONT OF YOU, IS THAT CORRECT? Q: AND WHAT IS THIS THAT IS MARKED AS EXHIBIT 13? A: THIS IS AGAIN THE PART OF THE RECORD THAT I MADE AS I CHARTED HER OUT. Q: THAT’S PART OF YOUR REPORT, IS THAT CORRECT? Q: AND ON THAT, IN THE UPPER PART OF EXHIBIT 13, THERE ARE — THERE IS A FORM WITH TEETH INDICATED ON THERE, IS THAT CORRECT? A: YES, SIR, THERE IS. Q: AND IN THE LOWER PART OF YOUR REPORT, YOU’VE INDICATED WHICH OF THOSE TEETH ARE MISSING. A: ON THE LOWER — OH, YOU MEAN — WELL, THIS IS THE LOWER HERE. THERE’S NO TEETH MISSING HERE, SO ON THIS PART OF THE REPORT I’VE INDICATED THAT THE NUMBER, THE DECIDUOUS RIGHT CUSPID IS MISSING, THE RIGHT LATERAL INCISOR, NUMBER 7, THE NUMBER — AND THEN NUMBER 9 WAS ALSO MISSING, AND THEN 10 WAS RECOVERED. Q: AND THIS YOU’RE REFERRING TO YOUR EXAMINATION OF THE BODY OF DANIELLE VAN DAM, IS THAT CORRECT? Q: OF HER MOUTH, IS THAT RIGHT? A: THAT IS CORRECT, MR. BOYCE. Q: AND THESE REFER TO THE TEETH THAT ARE SET FORTH IN THE EXAMPLE AT THE TOP OF THE PAGE. A: THAT’S EXACTLY RIGHT, YES, SIR. Q: AND AFTER YOUR EXAMINATION OF THE BODY OF DANIELLE VAN DAM, IT WAS YOUR OPINION THAT THERE WERE NO SIGNS OF ANY FRACTURE, IS THAT CORRECT? Q: THERE WERE NO SIGNS OF ANY TRAUMA TO THE ORAL CAVITY, IS THAT CORRECT? A: THAT I COULD SEE, THAT’S CORRECT. Q: AND IN YOUR OPINION THE MISSING TEETH BECAME SEPARATED FROM THE ALVEOLAR BONE AS A RESULT OF DECOMPOSITION. A: THAT WAS MY INDICATION AT THAT POINT. THAT WAS MY FINDING, YES. Q: THAT WAS YOUR MEDICAL OPINION BASED UPON YOUR TRAINING AND EXPERIENCE, IS THAT CORRECT? Q: AND ANY OTHER OPINION FROM YOU AS OPPOSED — CONCERNING WHAT HAPPENED TO THOSE TEETH WOULD BE SPECULATION, IS THAT RIGHT? A: WELL, IT’S — I SUPPOSE IT WOULD BE SPECULATION IF THEY ARE NOT AT THE SCENE, THEY ARE NOT IN THE BODY, THEY HAVE TO BE SOMEWHERE ELSE. AS TO WHERE THEY ARE, I DON’T KNOW. Q: ARE THEY WITH THE FOOT? A: DOUBT IT. BECAUSE TEETH ARE USUALLY NOT TRANSPORTED BY ANIMALS. THEY ARE NOT — THEY ARE HARD, THEY ARE CHEWY, THEY ARE NOT NUTRITIOUS. AND RARELY WOULD I SAY THAT I WOULD NOT THINK THAT THE TEETH IN THE ABSENCE OF FRANK TRAUMA TO THE TISSUE, AND ALTHOUGH THIS DOES NOT SHOW IT, MR. BOYCE, I REMEMBER THERE WAS STILL A CERTAIN AMOUNT OF TONICITY TO THE LIPS AND I HAD TO MOVE THOSE ASIDE TO GAIN ENTRY TO THE ORAL CAVITY. AND I REMEMBER AT THAT POINT NOT SEEING VERY MUCH TRAUMA, CERTAINLY NOT THE CANINE AND OTHER TEETH MARKS FROM ANIMALS THAT I SAW ELSEWHERE ON HER BODY. Q: BUT AGAIN THE MISSING TEETH THAT YOU DIDN’T FIND ON THE BODY, WHERE THEY ARE — FOR YOU TO SAY WHERE THEY ARE IS PURE SPECULATION. A: YES, SIR. THAT’S RIGHT. Q: — YOU DIDN’T SEE ANY TRAUMA TO THE LIP AREA, DID YOU? Q: YOU ALSO SAID THAT THERE WAS SOMETHING IN YOUR OPINION REMARKABLE ABOUT TOOTH NUMBER 8. A: WELL, TOOTH NUMBER 8, YES, I DID SAY THAT. ALSO IT WOULD INCLUDE NUMBER 9, JUDGING, ALTHOUGH I DON’T HAVE TOOTH NUMBER 9, I STILL HAVE THE X-RAY INDICATION OF WHERE THE ROOT WAS. AND THEN LOOKING AT THE PHOTOGRAPHS, SAY, OF THIS TRIAL EXHIBIT NUMBER 9, IT’S OBVIOUS THAT THESE TEETH ARE QUITE LONG. SO ASSUMING THAT THEY’RE THE SAME SIZE AND ASSUMING ALSO, NOT ASSUMING, BUT YOU COULD SEE THE SOCKET ON THESE X RAYS OF TOOTH NUMBER 9, WHICH WE’VE NEVER FOUND. SO I’M ASSUMING ANYTHING I SAID ABOUT THE CROWN/ROOT RATIO WAS THE SAME FOR BOTH OF THOSE TWO TEETH. Q: AND FOR TOOTH NUMBER 8, YOU NOTED THAT THE CROWN/ROOT RATIO WAS SIMILAR, IS THAT RIGHT? A: I WOULD SAY THAT PROBABLY 9 WAS SIMILAR TO 8, YES. Q: WHERE DID — REFERRING TO THE DRAWING, EXHIBIT 12 THAT WE MADE, TOOTH NUMBER 8 WAS NOT COLORED IN, IS THAT RIGHT? Q: IT WAS NOT ONE OF THE MISSING TEETH, WAS IT? Q: BECAUSE YOU FOUND IT WHERE? A: I THINK IT WAS RIGHT IN THE FRONT, SORT OF ON THE TONGUE, THE TIP OF THE TONGUE. Q: AND THIS WAS THE TOOTH THAT YOU HAVE BEEN DESCRIBING AS THE CROWN WAS EQUAL IN LENGTH TO THE ROOT, IS THAT RIGHT? Q: WHICH AS YOU’VE TOLD US WOULD CAUSE THAT TOOTH TO BECOME DISLODGED AS A RESULT OF TRAUMA MORE EASILY THAN THE OTHER TEETH, IS THAT RIGHT? A: WELL, NOT THE OTHER TEETH SO MUCH. I WAS LIMITING THAT JUST TO THOSE TWO FRONT TEETH. BUT YOU FOUND NUMBER 8 IN THE MOUTH, IS THAT RIGHT? Q: SO IF THERE HAD BEEN — IF WE WANT TO SPECULATE ABOUT TRAUMA, TRAUMA MIGHT HAVE CAUSED OR WOULD HAVE CAUSED TOOTH NUMBER 8 TO BE DISLODGED MORE READILY THAN A TOOTH THAT WAS MORE FIRMLY ROOTED IN THE MOUTH, IS THAT RIGHT? A: WELL, IT’S NOT SO MUCH THAT BECAUSE IF WE TAKE THE ONE TOOTH THAT WE DID RECOVER, THE LATERAL INCISOR, THAT TOOTH, THE LATERAL INCISOR, HAD — IT’S NOT YET FORMED ON THE X RAY. BUT IT WOULD HAVE BEEN LONGER IN RELATIONSHIP TO THE CROWN, THE PART THAT SHOWS, THAN THE TWO FRONT TEETH. FRONT TEETH ARE UNUSUALLY BIG CROWNS WITH SHORTER ROOTS. THE LATERAL INCISORS WERE A LITTLE BIT MORE WHAT WE WOULD EXPECT TO SEE, WITH A LITTLE MORE ROOT THAN CROWN LENGTH. Q: AND THE LATERAL INCISORS ARE AWAY FROM THE FRONT OF THE MOUTH, TOO, IS THAT CORRECT? A: WELL, THEY ARE ON EITHER SIDE OF 8 AND 9. THEY ARE 7 AND 10. Q: TOOTH NUMBER 8 IS DIRECTLY IN THE FRONT OF THE MOUTH. A: YES, IT IS. ON THE RIGHT SIDE. Q: AND, AGAIN, YOU FOUND NO TRAUMA FROM YOUR EXAMINATION OF THE MOUTH, NO TRAUMA TO THE MOUTH OF THE BODY THAT YOU EXAMINED, IS THAT CORRECT? A: THAT’S TRUE. I DID NOT. MR. BOYCE: THANK YOU, DR. SPERBER. Q: ONLY, DOCTOR, WOULD YOU PUT YOUR NAME ON EXHIBIT 12, THE DRAWING BEHIND YOU. THE COURT: ALL RIGHT. IS THE DOCTOR TO BE EXCUSED? MR. DUSEK: ONE LAST QUESTION. THE COURT: OH. ALL RIGHT. Q: DOCTOR, CAN TEETH BE LOOSENED FROM TRAUMA, SOFT TRAUMA, THAT WILL LEAD TO THEIR FALLING OUT? A: IT’S VERY CONCEIVABLE THAT COULD HAPPEN. Q: EVEN WITHOUT ANY TRAUMA OR SIGNS INSIDE THE MOUTH? Q: YOU DIDN’T SEE THAT IN THIS CASE, DID YOU, DOCTOR? A: MR. BOYCE, SEE WHAT? A: I DID NOT. THAT’S CORRECT. Q: SO ANYTHING BASED ON THAT WOULD BE SPECULATION ON YOUR PART, IS THAT RIGHT? A: WELL, EXCEPT TO POINT OUT THAT YOU COULD HAVE TRAUMA TO A TOOTH AND CERTAINLY IN THIS VICTIM’S MOUTH THE TEETH PROTRUDED BEYOND THE GUM, THE LIP, RATHER, AND CERTAINLY A BLOW DIRECTLY ON THOSE TEETH OR PRESSURE ON THOSE TEETH COULD LEAD TO A LOOSENING AT TIME WHEN SOME TRAUMA WAS APPLIED OR AT SOME LATER TIME BECAUSE THEY ARE JUST QUITE LONG. AND SO THAT YOU COULD HAVE A BLOW TO THAT TOOTH WITHOUT SEEING ANY TRAUMA ON THE SOFT TISSUE. AND IF IT WERE, SAY, A RELATIVELY SOFT OBJECT THAT HIT IT, SAY THE BACK OF A BROOM HANDLE, THAT WOULD NOT CAUSE A FRACTURE TO THE TOOTH. Q: WHEN YOU’RE POINTING, YOU’RE POINTING TO TOOTH IN THE NUMBER 8 POSITION, IS THAT RIGHT? Q: AND THAT’S THE ONE THAT YOU FOUND IN THE MOUTH OF DANIELLE VAN DAM? A: YES, IT IS. THAT’S RIGHT. Q: AND WHEN YOU SAY ANY TRAUMA, AGAIN YOU DIDN’T FIND ANY, DID YOU? A: DID NOT FIND ANY TRAUMA TO THE SOFT TISSUE, THE TEETH OR THE BONE. BUT I DID SAY THAT YOU COULD HAVE TRAUMA ON THE TOOTH DIRECTLY WITH SOMETHING THAT WAS NOT REALLY HARD LIKE STEEL THAT WOULD NOT CAUSE A CHIPPING OF THE TOOTH, AND BECAUSE AGAIN THE TEETH PROTRUDE SO FAR DOWN, AND IF THE OBJECT HIT THE TOOTH, YOU WOULD NOT SEE ANY TRAUMA TO THE SOFT TISSUE. AND SINCE THE ROOT LENGTH IS RATHER SMALL, THAT TOOTH COULD BE EASILY DISLODGED AND THAT SIZE WE SEE THAT A LOT IN PLAYGROUND ACCIDENTS ALL THE TIME. Q: BUT AGAIN YOU DIDN’T FIND ANY TRAUMA, DID YOU? A: DID NOT TO THE ORAL CAVITY. MR. DUSEK: NO. THANK YOU. THE COURT: ALL RIGHT, DOCTOR. IS HE TO BE EXCUSED? MR. FELDMAN: SUBJECT TO RECALL. DOCTOR, YOU ARE GOING TO BE SUBJECT TO RECALL WHICH SIMPLY MEANS OBVIOUSLY IF THE LAWYERS NEED YOU AGAIN, THEY’LL CONTACT YOU. THE COURT: BUT YOU’RE FREE TO LEAVE AT THIS TIME. PLEASE MAKE SURE THAT YOU PICK UP YOUR NOTES ONLY. MR. DUSEK, IF YOU WOULD BE KIND ENOUGH TO ARRANGE THE EXHIBITS BEFORE YOU CALL YOUR NEXT WITNESS. THE COURT: ALL RIGHT. THANK YOU, DOCTOR. THE COURT: OKAY. NEXT WITNESS. MR. DUSEK: DAMON VAN DAM. Q: GOOD MORNING, MR. VAN DAM. Q: HOW OLD ARE YOU, SIR? Q: HOW LONG HAVE YOU BEEN MARRIED TO HER? A: THIRTEEN YEARS? FOURTEEN YEARS NOW. Q: HOW LONG HAVE YOU WORKED OVER THERE? A: MOST RECENTLY ABOUT A YEAR. PRIOR TO THAT I WORKED THERE THREE YEARS. A: 12011 MOUNTAIN PASS ROAD. A: SABRE SPRINGS. BETWEEN POWAY AND SCRIPPS POWAY PARKWAY. Q: IS THAT IN SAN DIEGO COUNTY? A: YES. IN SAN DIEGO. Q: HOW LONG HAVE YOU LIVED THERE? A: ALMOST FOUR YEARS NOW. Q: DO YOU REMEMBER WHEN IT WAS THAT YOU MOVED IN? A: ABOUT THIS TIME FOUR YEARS AGO. EXACTLY I’M NOT SURE. Q: WHO DO YOU LIVE THERE WITH? A: LIVE THERE WITH MY WIFE AND THREE CHILDREN. Q: WHO’S THE OLDEST CHILD? Q: HOW DO YOU SPELL DEREK? Q: WE MAY HAVE IT WRONG ON SOME OF OUR CHARTS HERE. Q: HOW OLD IS DEREK? Q: DOES HE GO TO SCHOOL? Q: WHAT GRADE IS HE IN? A: HE’S SIXTH. FOURTH GRADE. Q: WHAT’S YOUR NEXT CHILD? Q: WHEN WAS SHE BORN? A: SHE WAS BORN SEPTEMBER 26TH, 1994. Q: HOW OLD WOULD SHE BE? Q: WAS SHE IN SCHOOL? Q: AND YOUR THIRD CHILD. A: HE’S ABOUT TO TURN SIX. Q: WHAT SCHOOL DO THEY — DID THEY GO TO? Q: WHERE IS THAT IN RELATION TO YOUR HOUSE? A: HALF-MILE AWAY. DOWN AT THE BOTTOM OF THE HILL. ON SPRINGHURST. Q: LET ME SHOW YOU A PHOTO DISPLAY BOARD THAT WE HAVE HAD MARKED. IT LOOKS LIKE NEIGHBORHOOD AERIALS WE HAVE IT LABELED. DO YOU SEE WHAT WE HAVE DEPICTED HERE, MR. VAN DAM? MR. FELDMAN: EXCUSE ME, YOUR HONOR. FOR THE RECORD, IS THERE AN EXHIBIT NUMBER? THE WITNESS: YES, I SEE IT. Q: DO YOU HAVE YOUR BEARINGS BASED UPON THE AERIALS? Q: CAN YOU LOCATE YOUR HOUSE ON THE TOP PHOTOGRAPH, PHOTOGRAPH A? A: YES. IT’S MARKED V. D. ALREADY. THAT’S OUR HOUSE, THE SECOND ONE. PAST THE INTERSECTION. Q: IT HAS THE V. D. ON THE ROOF? Q: ALSO IN PHOTOGRAPH B DO YOU SEE YOUR HOUSE? A: THIS IS OUR HOUSE. Q: WITH THE V. D. ON THE ROOF? Q: AND ALSO PHOTOGRAPH D, IS THAT YOURS WITH THE V. D.? Q: WHERE IS THE SCHOOL IN RELATION TO YOUR HOUSE? A: YOU WOULD HAVE TO COME DOWN THIS STREET. A: THIS IS MOUNTAIN PASS. THIS IS SPRINGHURST. AND YOU WOULD HAVE TO GO DOWN SPRINGHURST. IT’S A BIG HILL. AND AT THE BOTTOM OF THE HILL RIGHT BEFORE POWAY ROAD IS THE SCHOOL. Q: AND YOU WERE INDICATING PHOTOGRAPH A ON EXHIBIT 1 THE STREET RUNNING TOP TO BOTTOM APPEARS TO BE MOUNTAIN PASS. Q: AND THE STREET INTERSECTING AT THE BOTTOM OF THE PHOTOGRAPH IS SPRINGHURST? Q: WERE YOU STILL AT THE HOUSE WHEN THE KIDS WOULD GO TO SCHOOL? A: TYPICALLY IF I WAS I WOULD TAKE THEM TO SCHOOL, WHICH WAS RARELY. BUT TYPICALLY I WOULD HAVE GONE TO WORK ALREADY WHEN THEY WENT TO SCHOOL. Q: DID YOU KNOW HOW THEY GOT TO SCHOOL? A: USUALLY BRENDA WOULD DRIVE THEM. ONCE IN A WHILE SHE WOULD WALK THEM. USUALLY SUMMER SHE WOULD WALK THEM. WHEN IT WAS COLD OUT, SHE WOULD DRIVE THEM ALMOST EVERY DAY. Q: DID YOU HAVE A DOG? A: WHAT KIND OF DOG? Q: HOW LONG HAVE YOU HAD THE DOG? A: PROBABLY ABOUT EIGHT MONTHS NOW. SHE’S JUST OVER A YEAR OLD. Q: DID YOU GET HER AT WHAT STAGE IN HER DEVELOPMENT? A: WE GOT HER I THINK AROUND EIGHT WEEKS. TEN WEEKS MAYBE. STILL A PUPPY. Q: DESCRIBE FOR US WHAT A WEIMARANER LOOKS LIKE OR IS? A: LIKE A POINTER. LIKE A SHORT-HAIRED POINTER. ABOUT SIXTY POUNDS. ABOUT MID-THIGH HIGH. BROWN/GRAY COLOR. Q: DID THE DOG BARK? A: THE DOG DOESN’T TYPICALLY BARK. SHE’LL BARK TO GET IN THE HOUSE, BUT OTHER THAN THAT, SHE WON’T BARK. Q: WAS THERE SOMETHING DONE TO AFFECT ITS ABILITY TO BARK? A: NO, THERE WASN’T. BUT SHE WAS — THE FARM ON WHICH SHE GREW UP, THE DOGS HAD ALL BEEN DEVOICED SO THEY WOULDN’T BARK, SO SHE GREW UP WITHOUT BARKING DOGS AROUND HER. Q: YOU’VE LIVED IN THE NEIGHBORHOOD I THINK YOU SAY FOR ALMOST FOUR YEARS. WERE YOU THE FIRST OWNER OF YOUR HOUSE? Q: DID YOU COME TO KNOW AN INDIVIDUAL BY THE NAME OF DAVID WESTERFIELD? A: I DIDN’T KNOW HIS NAME UNTIL AFTER THIS. BUT I KNEW WHO HE WAS. Q: SO YOU DIDN’T KNOW HIS NAME UNTIL THESE INCIDENTS AROSE? Q: WOULD YOU POINT HIM OUT, PLEASE, AND DESCRIBE WHAT HE’S WEARING TODAY? A: WEARING A GRAY JACKET, WHITE SHIRT, AND A TIE. Q: DID HE LIVE IN YOUR NEIGHBORHOOD? D. W. IN EACH PICTURE. Q: HOW FAR AWAY IS THAT FROM YOUR HOUSE? A: CLOSE. RIGHT ACROSS THE STREET. Q: THERE WOULD BE ONE HOUSE NEXT TO YOU, THEN YOU WOULD HAVE TO CROSS THE STREET TO GET TO HIS CORNER HOUSE. Q: DO YOU KNOW THE NAME OF THE STREET THAT YOU WOULD HAVE TO CROSS TO GET TO HIS? A: I KEEP BRINGING UP DAPPLE. THAT’S THE STREET BEHIND. Q: AND HE’S ON THE SAME SIDE OF THE STREET OF MOUNTAIN PASS AS YOU ARE, IS THAT CORRECT? Q: UP UNTIL THIS SITUATION, WHAT CONTACT DID YOU HAVE WITH MR. WESTERFIELD? A: WHEN WE FIRST MOVED IN, I WAS WALKING BY ONE DAY. HE HAD A SAND RAIL IN THE GARAGE. AND WE TALKED FOR A MINUTE ABOUT HIS SAND RAIL. Q: WHAT’S A SAND RAIL? A: DUNE BUGGY-TYPE THING FOR GOING OUT IN THE SAND IN THE DESERT. WE TALKED FOR A MINUTE ABOUT THAT. HE HAD MENTIONED HE WENT OUT IN THE DESERT. AND THAT WAS ABOUT IT. Q: DID HE GIVE YOU HIS NAME OR DID YOU REMEMBER HIS NAME? A: HE MAY HAVE, BUT I DON’T REMEMBER. IT WAS A LONG TIME AGO. Q: DID YOU HAVE ANY OTHER CONTACT WITH HIM? A: SINCE THEN WHAT I REMEMBER IS SIX TO EIGHT MONTHS AGO, MAYBE A LITTLE MORE, HE HAD HAD A PILE OF ROCKS IN FRONT OF HIS HOUSE, AND A CAR HAD APPARENTLY HIT THEM AND SCATTERED THEM ACROSS THE INTERSECTION. AND HE WAS CLEANING THE ROCKS UP FROM THE CORNER, FROM OUR CORNER. I THINK IT WILL MAKE IT REAL CLEAR, THE ROCKS WERE OUT HERE (INDICATING). Q: NEAR THE FRONT OF HIS HOUSE? A: THE FRONT OF HIS HOUSE NEAR THE FIRE HYDRANT. THE CAR HIT THEM AND THEY HAD SCATTERED ALL THE WAY OVER TO THIS CORNER. Q: TOWARDS THE OPPOSITE SIDE OF BRIARLEAF? A: RIGHT. AND HE WAS OVER HERE SHOVELING THEM UP INTO A WHEELBARROW I BELIEVE. I WENT OUT AND TALKED TO HIM ABOUT WHAT HAD HAPPENED. HE SAID A CAR APPARENTLY HIT THEM DURING THE NIGHT, AND HE HAD TO CLEAR THEM UP. Q: WHERE YOU WERE REFERRING TO WAS EXHIBIT 1, PHOTOGRAPH C, IS THAT CORRECT? Q: AND HE WAS ON YOUR SIDE OF THAT INTERSECTION, CLEANING UP THE ROCKS? Q: DID YOU HELP HIM? A: NO. JUST TALKED TO HIM ABOUT IT. Q: DO YOU RECALL ANY OTHER CONTACT WITH MR. WESTERFIELD? A: NOT SPEAKING. JUST DRIVING BY. THAT WAS TYPICALLY OUR WAY OUT, SO WE WOULD DRIVE BY. AND IF WE SAW HIM OUTSIDE, WE WOULD WAVE. Q: SO YOU HAVE TO DRIVE BY HIS HOUSE TO GET OUT OF YOUR NEIGHBORHOOD? Q: DID YOU DO THAT TO OTHER NEIGHBORS IN YOUR NEIGHBORHOOD? Q: ANYTHING UNUSUAL ABOUT THE HI AND ‘BYE WITH HIM AS YOU WERE COMING AND GOING? Q: DID YOU SOCIALIZE WITH HIM? Q: HAD YOU EVER BEEN IN HIS HOME? Q: HOW ABOUT IN HIS BACKYARD? Q: HOW ABOUT HIS GARAGE? A: WHEN I FIRST TALKED TO HIM THAT FIRST TIME, I WAS AT THE THRESHOLD OF HIS GARAGE. I MAY HAVE GONE IN TO LOOK AT THE SAND RAIL, BUT I DON’T THINK SO. I’M NOT SURE. A: THAT WAS WHEN WE FIRST MOVED IN. YEARS AGO. Q: HAD HE EVER BEEN IN YOUR HOUSE TO YOUR KNOWLEDGE? Q: HAD YOU EVER INVITED HIM OVER? Q: HAD HE EVER BEEN INTO YOUR BACKYARD TO YOUR KNOWLEDGE? A: NO. I HAD NEVER SEEN HIM ON OUR SIDE OF THE STREET OTHER THAN THE TIME GETTING ROCKS AS A MATTER OF FACT. MR. FELDMAN: I’M SORRY. I MISSED THE LAST PART OF THE ANSWER. THE WITNESS: OTHER THAN THE TIME HE WAS CLEANING UP THE ROCKS. THE COURT: THAT’S NOT A PROBLEM. Q: WERE YOU AWARE OF ANY VEHICLES HE OWNED OR POSSESSED DURING A TIME THAT HE WAS LIVING IN YOUR NEIGHBORHOOD? A: WHEN HE HAD THAT SAND RAIL, I BELIEVE HE HAD A BAJA-TYPE BUG WHICH IS A VOLKSWAGEN WITH THE ENGINE EXPOSED AND, YOU KNOW, ENGINE EXPOSED AND EXHAUST COMES OUT THE BACK. AND IT WAS BLUE AND HAD THE CUT-OFF FENDERS. AND I THINK HE HAD AN OLDER PORSCHE CARRERA I THINK IT WAS. AND HE HAD A WINNEBAGO, BIG CAMPER WITH A TRAILER. Q: WHEN YOU TALK ABOUT A TRAILER, WHAT DO YOU MEAN BY THAT? A: AN ENCLOSED I THINK IT WAS WHITE, AN ENCLOSED, PUT THE SAND RAIL IN THE TRAILER. Q: DID THAT ATTRACT YOUR ATTENTION? Q: DID YOU EVER SPEAK ABOUT IT WITH ANY OF YOUR NEIGHBORS? A: I SPOKE WITH RICH BRADY. Q: IS HE A NEIGHBOR? A: YEAH. HE LIVES — HE DOESN’T LIVE RIGHT IN THIS AREA, BUT IT’S AROUND ON ANOTHER STREET. Q: HOW DID YOU KNOW MR. WESTERFIELD, THE DEFENDANT, HAD A WINNEBAGO? A: IT WAS PARKED OUT THERE OFTEN. RICH HAD COMPLAINED ABOUT IT BEING PARKED THERE TOO OFTEN. AND THAT IT WAS — THAT THERE WAS SOME LIMIT ON THE RESTRICTIONS TO LIVING THERE. I NOTICED THAT. I DIDN’T KNOW WHAT THE RESTRICTIONS WERE. I KNOW SOME OF THE NEIGHBORS WERE BOTHERED ABOUT IT. BUT. . .
Q: HOW LONG AGO WAS THIS THAT YOU SPOKE WITH RICH BRADY ABOUT IT? A: AROUND EIGHT MONTHS AGO, A YEAR AGO. THE COURT: COUNSEL, WE NEED TO TAKE THE MORNING BREAK. THE WITNESS: I’M NOT SURE. LADIES AND GENTLEMEN, WE ARE GOING TO TAKE THE MORNING BREAK. PLEASE REMEMBER THE ADMONITION OF THE COURT NOT TO DISCUSS ANY OF THE EVIDENCE OR TESTIMONY AMONG YOURSELVES OR WITH OTHER PERSONS UNTIL THE CASE IS SUBMITTED TO YOU FOR DECISION. PLEASE BE BACK OUTSIDE THE DOOR AT 10:45. THAT’S A QUARTER TO 11:00, PLEASE.